Sony says that the upcoming PlayStation Vita will be able to support multiple PSN accounts after all, but it'll take a little horsing around to make it happen. 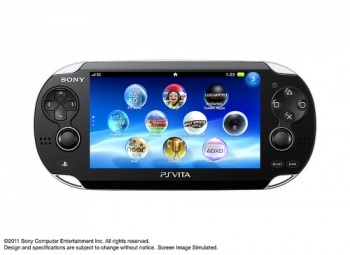 Word came out yesterday that Sony's new handheld, the PlayStation Vita, will only support a single PlayStation Network account, and that in order to use a different account the device will have to be formatted and reset to factory settings first. This is obviously problematic for families who want to share a single Vita, for example, and also effectively region-locks the device by preventing users from creating multiple accounts in order to access content that's only available to specific regions. Not exactly the most user-friendly move possible, in other words. But that's not actually the case, according to Sony Associate Brand Marketing Manager Crystal MacKenzie, who told Wired that PSN accounts will be linked to the Vita's memory card rather than to the Vita itself. Users will still have to restore the Vita to its factory default settings to change the PSN account on a single memory card, but multiple memory cards can be used to access multiple PSN accounts on a single Vita. Got that? "Your PSN ID is bonded to your memory card and your memory card is bonded to your Vita. So if you wanted to change different PSN users but use the same memory card, you would need to go factory reset," she explained. But you can register different PSN accounts to different memory cards and then swap them as needed. "You can also use them both on the same PSN account," she added. It's better than locking the whole system down to a single account but it still seems like an awfully convoluted way to go about things. It's not like there's an inherent limitation in the technology, so why not just let the unit access as many PlayStation Network accounts as its owners want? Why force people to buy expensive, proprietary memory cards just because they have more than one PSN account they want to use?